Our team is committed to helping you feel your best. You may be surprised to know that eight out of 10 people suffer from back pain and headaches during their lifetime. If you are one of the many who suffer, you may be doing so silently, only letting your loved ones know how you feel. Surprisingly your co-workers and others close to you probably also notice your pain. This pain not only affects your quality of life but also those around you. Today, there are many options available to address your pain and to get you back to happy healthy living. When you don’t know what to do, the doctors at Eastern Headache and Spine are here to help. I started my own practice because I had a strong desire to return to the grassroots of Doctor-Patient relationships that included caring for one patient at a time. At Eastern Headache and Spine I’m committed to providing all patients with the best medical care, working together to solve your medical dilemmas. A Kinston, NC native, Dr. Cooper is a graduate of East Carolina University’s School of Medicine. In addition he holds a Master’s degree from East Carolina University and a Bachelor of Arts degree from the University of North Carolina at Chapel Hill. With his medical license he has passed the medical boards for Psychiatry and Neurology, Pain Medicine and Neuroimaging MRI/CT Certification. 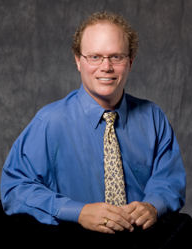 Dr. Cooper has received numerous awards and written many medical papers in his field. He was selected Best Resident 2004, Medical Student Class of 2004: Virginia Commonwealth University Health System. Recently Dr. Cooper was noted as a one of “America’s Top Physicians” in Pain and Neurology by the Consumers’ Research Council of America. Currently he is a member of the American Academy of Neurology, American Medical Association and American Society of Neuroimaging. What I enjoy most about my job is working with patients to improve their quality of life and level of care. I especially enjoy seeing the results of my work with migraine patients and the difference the various treatments can make on their day to day lives. Nurse Practitioner, Amy Hopkins received her Bachelor of Science degree from Appalachian State University. She then completed the Alternate Entry Nursing Program at East Carolina University where she then completed a Master’s of Science Degree in Nursing, Adult Nurse Practitioner Program. 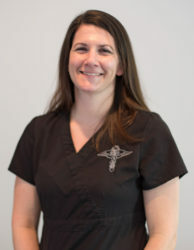 She is license and certified as an Adult Nurse Practitioner by The American Association of Nurse Practitioners and The North Carolina Board of Nursing has given her licensure as a Registered Nurse and certified her as a Nurse Practitioner Approval to Practice. Hopkins is also affiliated with the American Association of Nurse Practitioners, The North Carolina Nurse Association and the American Nurses Association.